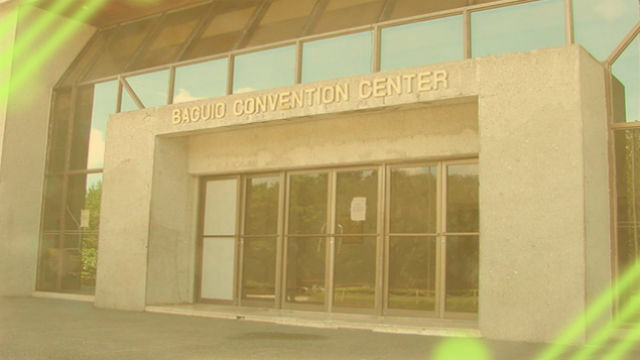 BAGUIO CITY – A local legislator wants representatives of concerned government agencies, local government offices and the contractor of the on-going rehabilitation of the city-owned Baguio Convention Center (BCC) to appear during the council’s regular session on September 24, 2018 to shed light on the alleged snail-paced implementation of the project and the reported revision of the plans and specifications that did not pass through the needed consultations with the local government. Councilor Maria Mylen Victoria G. Yaranon, chairperson of the City Council Committee on Public Works, said there is a need for the local government to be clarified on the revisions that were done in the earlier plans and specifications for the rehabilitation of the city’s premier convention facility, aside from reports that the project is allegedly behind schedule. Among the personalities requested to appear during the local legislative body’s regular session include Rep. Mark Go, regional director Engr. Tiborcio Canlas of the Cordillera office of the Department of Public Works and Highways (DPWH-CAR), DPWH-CAR planning division chief Engr. Angelita Mabitasan, DPWH-CAR architect Caesar Romel P. Quindara, City Building Official Engr. Nazita F. Bañez, City Buildings and Architecture Office (CBAO) architect Homer M. Soriano, Engr. David Sanchez as the authorized managing officer of the EGB Construction Spiderone Construction Company Limited, Arch. Donna R. Tabanging of St. Louis University, Engr. Joselito Buhangin, Arch. Joseph Alabanza, Arch. Joy Pascua of the United Architects of the Philippines, Arch. Eugene Lomogdan and Engr. Bonifacio dela Peña. Yaranon alleged that the plan being implemented for the rehabilitation of the BCC is not in line with project plans prepared earlier by the local government, which was funded in the amount of P180 million sourced from the regular infrastructure fund of the DPWH. Mayor Mauricio G. Domogan said he is currently awaiting the report of the inspection and monitoring committee relative to the status of the project to be able to take the appropriate steps and consult with the implementing agency on how the project is being undertaken. The local chief executive argued that if the revisions will result to the betterment of the facility then it is worthy to proceed with the project, but if it significantly deviated from the plans earlier approved by both the DPWH and the local government then it is important to raise the matter to the implementing agency for clarification. Domogan claimed the BCC is the premier convention facility of the people, and there is a need for the implementing agency to listen to the plight of the concerned stakeholders considering the importance of being consultative on the matter. It can be recalled that the DPWH included in its annual budget for this year the amount of P180 million for the long overdue rehabilitation of the BCC. It was acquired by the local government from the State-owned Government Service Insurance System (GSIS) through a tripartite agreement with the State-owned Bases Conversion and Development Authority (BCDA) in 2004 but was only consummated in 2012.